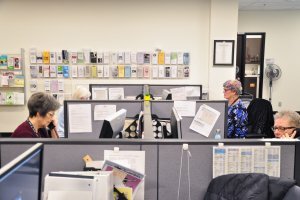 The Victim Services program in Saskatoon opened its doors in May of 1993. Since that time the program has grown and currently employs two staff members, two Indigenous Resource Officers, a Missing Persons Liaison, a Victim Services Responder and approximately 40 volunteer Support Workers. Victim Services provides education, information, support and referrals to victims of crime so they can make the best choices for themselves in the immediate aftermath of a traumatic event and throughout the criminal justice process. Victim Services deals with a wide range of incidents involving personal crimes such as assaults, sexual assaults, armed robberies, criminal harassment, and property crimes such as residential break and enters. Staff and volunteers also provide assistance in tragic events such as suicides and fatal accidents. Of all the files they handle, a significant number involve domestic violence and/or sexual assault; this is a strong indicator of its prevalence. The addition of two Indigenous Resource Officers enhances the expertise on Indigenous issues. Many of the clients served are of Indigenous ancestry and in order to ensure a culturally appropriate and sensitive service for Indigenous victims of crime, it is necessary to have such a resource available. The Missing Persons Liaison assists families whose loved ones are missing. They provide specialized support, information and referrals to address the unique experiences that these families face. The Missing Persons Liaison also provides consultation services to all Police-based Victim Services Units within Saskatchewan, ensuring that the necessary specific support services are available to all families of missing persons in our province. The Victim Services Responder works out of the Saskatoon Child Centre and provides support, referrals and education to victims 17 and under, as well as their families. They also work closely with community partners to foster a collaborative approach to helping youth and children access the supports they require through the investigative and court processes. The Victim Services Responder also assists parents in accessing resources that will allow them to be a healthy support for their child. 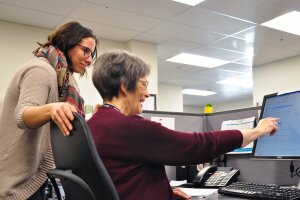 Support Workers provide victims of crime with connections to resources in the community such as counseling agencies, support groups, shelters, and information about opportunities for financial assistance. They also act as facilitators and liaisons to help victims maneuver through the Criminal Justice System. This includes providing information about court preparation/orientation, court updates and a physical support if there is a trial. Volunteer Support Workers provide the majority of service delivery to clients. They are well trained and highly skilled. All volunteers have passed a police security check and have signed an Oath of Secrecy, Code of Ethics and a contract that speaks to commitment and personal conduct. Every volunteer has completed a basic training program of approximately 25-40 hours of in-classroom training, delivered by expert community partners and a minimum of 12 hours of shadowing with experienced Victim Support Workers. Ongoing training is a requirement for all volunteers. The expectations for volunteers are very high. This reflects the high level of responsibility, and the need for professionalism, confidentiality and integrity. It is a uniquely hands-on volunteer experience which offers a significant level of personal satisfaction and educational gain. Annual recruitment generally occurs in August or September with basic training to take place in October. Victim Services offices are located at the Saskatoon Police Service Headquarters building (76 - 25th Street East), and are open Monday to Friday from 9:00 a.m. to 9:00 p.m., as resources allow. A guide to completing Victim Impact Statement forms is available on the Saskatchewan Justice site. The forms can be picked up at the Victim Services office at 76 - 25th Street East.